Albatros. A digital declaration of love to your customers. Professional golf courses cannot manage without marketing and smart customer retention programs. Efficient marketing tools and concepts for customer retention are even more important for golf groups. At the same time, golf groups face the challenge to implement the right mixture of local requirements and central marketing management solutions. 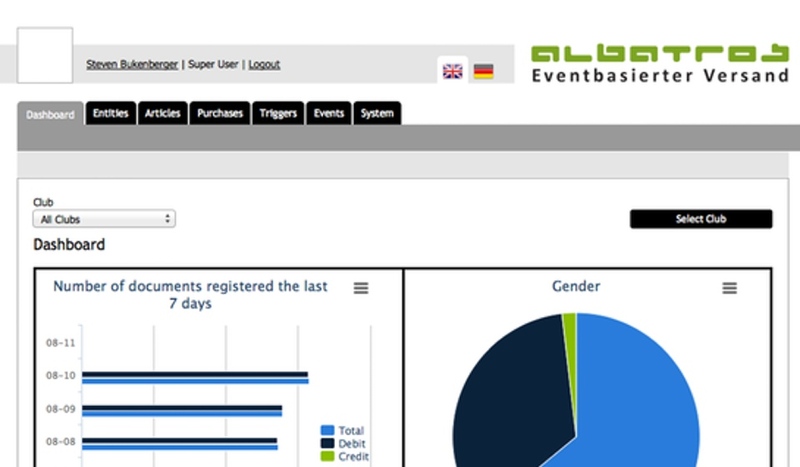 Albatros offers turnkey system modules which can be individually tailored to a golf group’s requirements. The advantage of the system is its interconnection of local databases on the course with the central system of marketing management across groups. Thanks to the system, marketing events can be planned and implemented across golf groups and moreover can be integrated seamlessly into the local marketing. 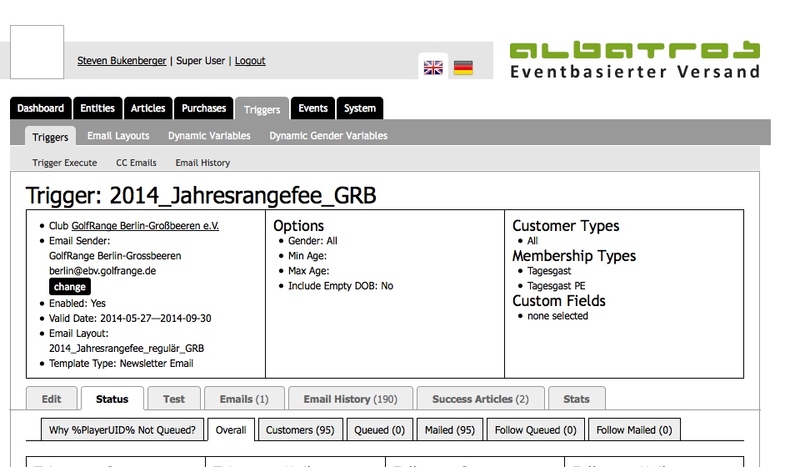 The Albatros Dialogue System, a professional newsletter tool which creates and sends regional newsletters at the touch of a button and which was designed for the German Golf Range, is just one example. By developing the system in conjunction with our partner Dialoop from Wuppertal, we provide our customer Golf Range with a completely new marketing tool which has a high operation efficiency and enjoys a high acceptance among local golf club managers. 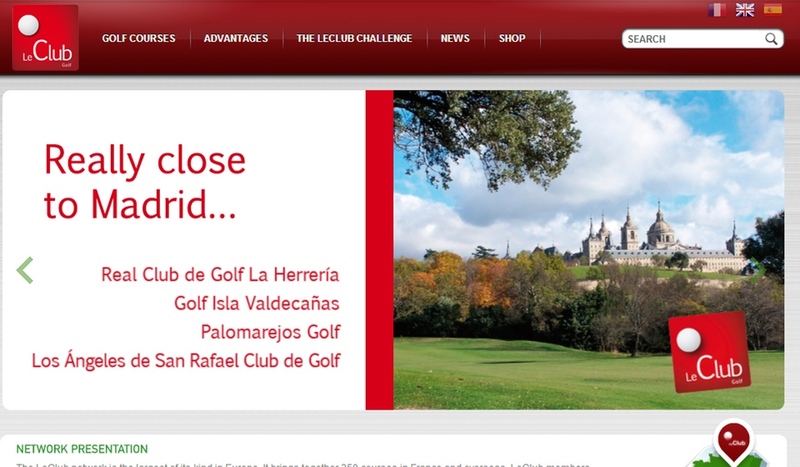 Our marketing tools are even deployed by international golf courses and golf groups. 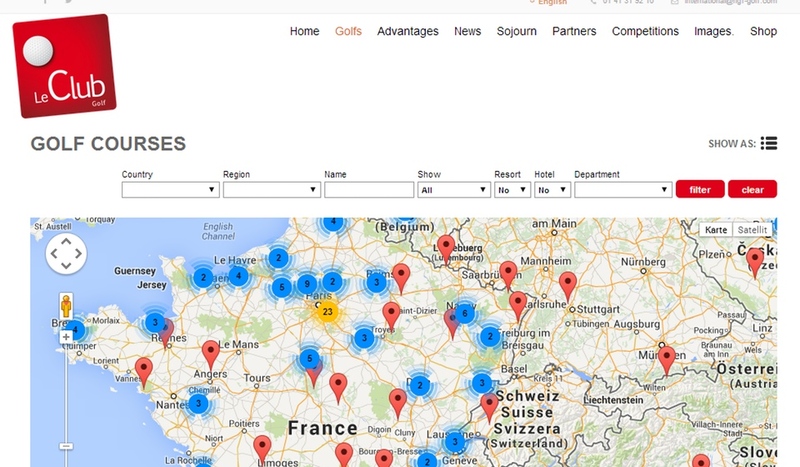 The NGF Group in France makes use of the Albatros system in order to collect and maintain data. These data are used for call center services and mailing campaigns in order to offer individual membership categories or bonus schemes. But it gets even better. The system has been designed from the start for greatest efficiency. Therefore, it offers the possibility of a so-called event-based dispatch. 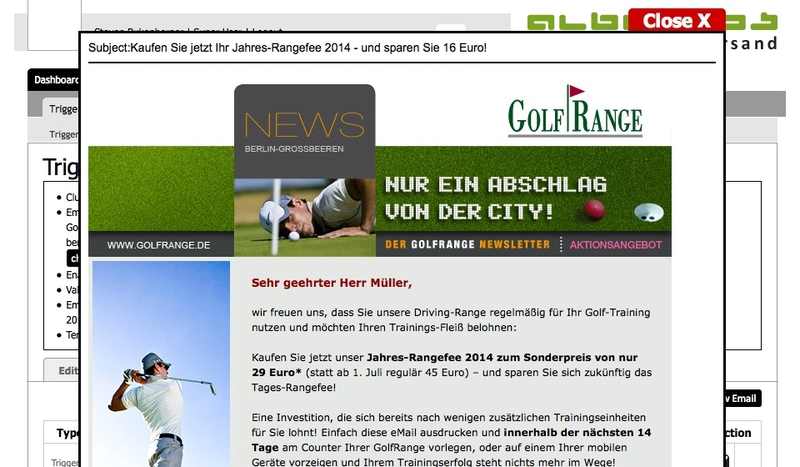 The golf group Golf Range from Munich uses this system in order to implement an automated newsletter distribution. Accuracy and a high hit quota with regard to potential customers are guaranteed by fully automated data updates. Offers directed at guests and new members can be sent purposefully. Customers do not feel disturbed and the likelihood of closing a deal is increased.